The Global Reporting Initiative (GRI) is an international not-for-profit organisation, with a network-based structure. To enable all companies and organisations to report their economic, environmental, social and governance performance, GRI produces free Sustainability Reporting Guidelines. The guidelines are currently in their fourth generation ("G4"). 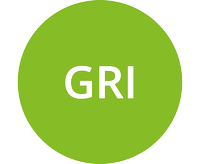 GRI was founded in the US in 1997 by CERES (a United States non-profit organisation) and the United Nations Environment Program (UNEP) and was originally based in Boston, Massachusetts. In 2002, GRI moved its central office to Amsterdam, where the Secretariat is currently located. GRI also has regional 'Focal Points' in Australia, Brazil, China, India and the USA. The GRI website can be accessed at www.globalreporting.org. A summary of recent developments at IIRC, GRI/UN Global Compact, SHCC, ASX, SSE, and TEG. The Corporate Reporting Dialogue (CRD), which brings together organisations that have significant international influence on the corporate reporting landscape, has a position paper supporting the development of better reporting guidelines for the Sustainable Development Goals (SDGs). A summary of recent developments at IRC, SSE, and GRI. A summary of recent developments at CDSB/CDP, CDP, PRI/ICGN, UNEP FI, GRI, and the University of Oxford. At the World Congress of Accountants in Sydney, Australia, the Corporate Reporting Dialogue (CRD), which brings together organisations that have significant international influence on the corporate reporting landscape, has announced two-year project focused on aligning the standards and frameworks of its members. A summary of recent developments at the GRI/UN Global Compact, GRI, IIRC, FRC, TCFD, IRC, A4S, and WFE. A summary of recent developments at the UNEP FI, WBCSD, GRI/PRI/UN Global Compact, CDSB, and UK BEIS. A summary of recent developments at the CDSB, CDSB/WBCSD, IIRC, GRI, and CDP. A summary of recent developments at the WBCSD, TCFD/CDSB, CDSB, ICAEW, UNEP FI, and GRI. Accountancy Europe, CSR Europe, and GRI have published an updated report on their research looking at the local implementation of the EU Directive on non-financial and diversity information reporting. A summary of recent developments at the CDSB, CDSB/WBCSD, CDSB/CDP, GRI/RMI, Green Finance Taskforce, and CSA. A summary of recent developments at the CDSB/CDP, FSB, ACCA, XRB, JICPA, GRI and CSE. A summary of recent developments at the Center for ESG Research, WBCSD, and GRI. A summary of recent developments at CDSB, GRI, SASB, CPA Canada, and ClientEarth. A summary of recent developments at WBCSD, GRI, TCFD/CDSB, IRC, and NZX. A summary of recent developments at IASB, GRI/CSR Europe/Accountancy Europe, IAASB/WBCSD, and CDP. A summary of recent developments at IIRC/ICAS, WBCSD, SASB, SASB/CDSB, Japan's METI, and GRI. On 22 November 2017, Accountancy Europe, CSR Europe, and GRI will present and discuss their new research looking at the local implementation of the EU Directive on non-financial and diversity information reporting. A summary of recent developments at GRI/UN Global Compact, UNCTAD/WFE, and SSE. A summary of recent developments at GRI/GSSB, CPA Canada, and IFA. A summary of recent developments at GRI and IIRC/ACCA. A summary of recent developments at GRI, Accountancy Europe and WBCSD. A summary of recent developments at the Accountancy Europe, the Securities Commission Malaysia, and GRI.